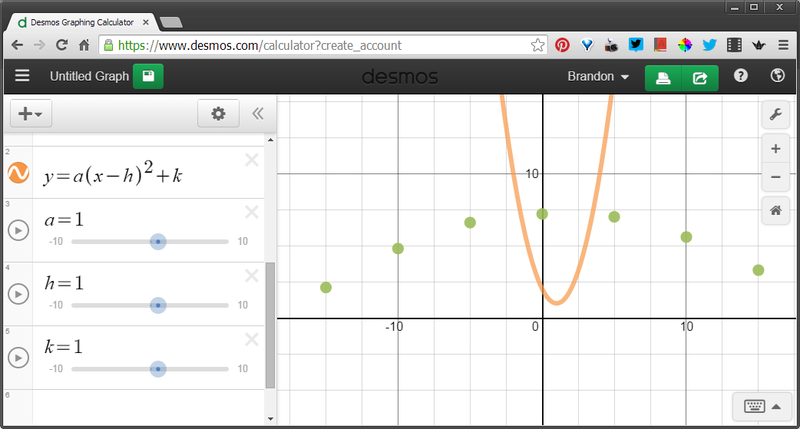 My Grade 11 e-Learning math class is completing a unit on quadratic equations. I have a few things happening for their summative assessment, but the part I find most interesting is the following “experiment”. It’s heavily based on the Leaky Tower task from TIPS4RM at EduGAINS.ca. I’m going to test it out tonight with my kids before I finalize the evaluation criteria and post the task. If you have feedback, I’d love to hear it. I’ll be adding photos to help explain the setup. You’ll be completing a short experiment and writing a report to go with it. You can get help from a classmate, family member, etc. while running the experiment, but just as an extra set of hands. No one should be helping you with the math part. a watch, phone, or other time-keeping device OR a video-recording device. Carefully poke a hole in the bottle about 3cm from the bottom. Seriously, be careful here. You might try using something sharp, like a pin or a nail, to start the hole, then widen it with a pencil. You want the final hole to have a diameter of 3-7mm. Don’t worry about being super-precise. Hold a ruler next to your bottle, or tape a ruler to your bottle if you need both of your hands free. You want to be able to measure the water level, so put the “zero” end of the ruler at the bottom. Cover the hole and fill the bottle with water. If your bottle has a tapered top (like the one pictured here), only fill it up in the cylindrical section (i.e. before it starts to narrow). You can cover the hole with your finger, or you might try a piece of tape (if you use tape, fold the end on itself so it’s easier to remove). If you’re recording video (easier, I think), start recording. If you’re just using a watch or other timing device, wait for a “good” time, like a whole minute, for a starting point. Uncover the hole, letting the water in the bottle flow out into a sink or another container. Don’t make a mess; nobody wants a mess. If you’re using a watch, use the ruler to record the water level every 5 or 10 seconds or so. Pick an easy time to keep track of. Record measurements until the flow of water stops. If you’re recording a video, let the water finish flowing out, then stop the video. Play the video back, noting the height of the water every 5 or 10 seconds or so. You now have a table of values: time (independent variable) and height measurements (dependent variable). If you didn’t get good data (you lost track of time, the video didn’t work, etc. ), perform the experiment again. It doesn’t take long. 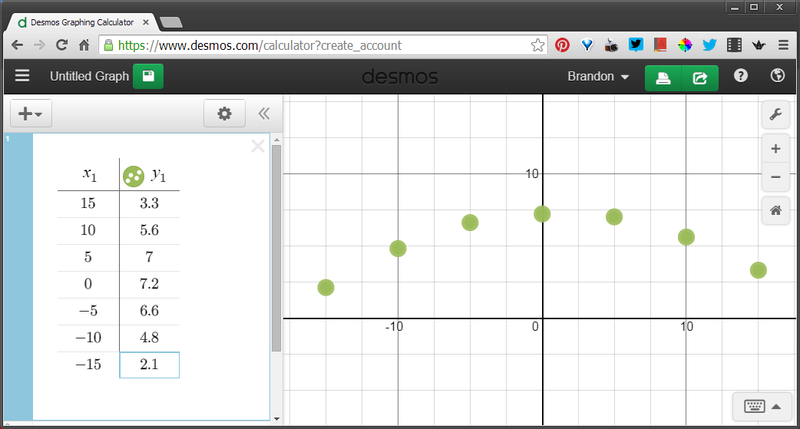 Using Desmos, create a scatter plot for your measurements. Find an equation to fit the data as best you can. Identify the key points on the graph. How should the equation you found be restricted? i.e. what should the domain and range be? 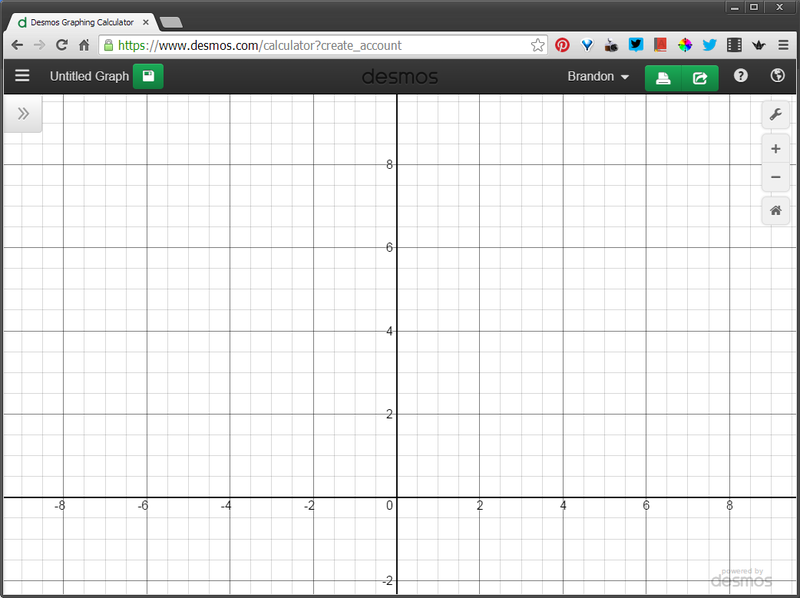 Write the equation you found in Standard Form and Vertex Form. Repeat the above experiment, but this time put another hole about 7-10cm above the first one. Uncover them at the same time, so water will flow out of both holes. Your analysis will be a little more complex, because you won’t have a single, nice equation that can accurately model the data. Find an equation (or equations!) to fit the data as best you can. How should the equation(s) you found be restricted? i.e. what should the domain(s) and range(s) be? Write the equation(s) you found in Standard Form and Vertex Form. I played a game with my math students today. It’s called OrdOp, and we used it to practice our mental computation skills. We used standard playing cards, but the “real” version uses cards numbered 0 to 25. If you want to try it, here are the rules (and printable cards). eBooks – product or service? Apparently the EU has decided eBooks should be taxed as services (link) instead of goods (like physical books). I don’t think it’s that simple. eBook “retailers” like Amazon are essentially offering you a licence to access a digital product, not ownership of a copy of the product. But you’ve purchased a licence, not a book. Compare it to NetFlix. You pay a monthly fee to access a library of digital content. It happens to be the same library everyone else gets too, not a customized library. We are more comfortable with the idea of subscription because we aren’t picking specific movies, and we even expect that some titles will disappear. These are services – the companies sell access, not goods. When I buy a book from Humble Bundle or Baen though, I’m buying a book (aren’t I?). I’m allowed to use it in certain ways (e.g. on multiple devices), and they’re not able to revoke my licence (I don’t think). There is no DRM to lock me into a platform or a service, and the expectation is that I will manage my purchases honestly and appropriately. And I’m glad they provide the ability to download my books at any time, but I don’t expect them to maintain my library for me. I keep my local copies, just in case. I’m certainly thinking of an eBook as a thing I’m buying, not a licence I’m buying. I want permanent access. Can’t the Retailer and/or Publisher Choose? I think there is room for both types of access, but it’s currently not clear to the consumer what they’re paying for. It would be nice for the publisher, or possibly the publisher and retailer together, to decide whether they’re licensing or selling (or both), and then price differentially and accordingly. I have no legal training. I’m just making lay observations, so don’t interpret any of this as legal advice, silly. Another teacher recently asked about my experiences teaching CS and for a description of the tools and language that I used. I thought I might share my response on here, in case anyone can add to the conversation. I used Java with NetBeans for development. This was my first time through the courses (ICS3U/3C) and it was by e-Learning, so I wanted to stick with something that was fairly standard. NetBeans was really flexible and was fairly nice for building GUIs as well. I hadn’t used a development environment with such effective refactoring capabilities before, so that was a treat. JavaDoc templates were generated automatically, and documentation look up was fast and reliable. Some other CS teachers use Eclipse, JCreator, or something else. NetBeans does have an Android development plugin, although I haven’t used it. If I were to teach the grade 12 course, I might consider focusing on Android development with the Android SDK/Studio IDE. There is a lot more to think about for app development, but I think there would be a significantly increased level of engagement. Also, those skills should be highly marketable for students if they pursue programming or software engineering as a career. If you want to see what it look like while I was coding and developing user interfaces in NetBeans, I have a bunch of videos in a playlist on my YouTube channel. 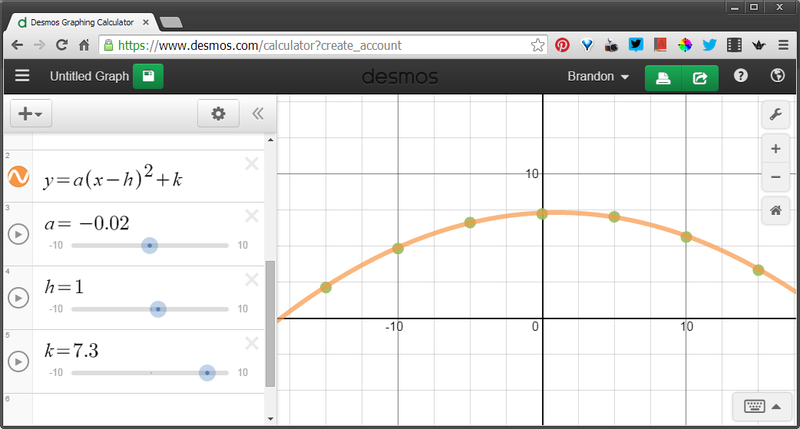 It was helpful to have the students building GUIs right away in some respects. However, because they didn’t already understand objects when they started this, it was difficult in the later stages of the course to have them create GUI elements programmatically instead of with drag-and-drop tools. For example, one student was creating a game that required playing cards to be displayed, but he needed to create (up to) 52 UI objects to represent them. That screams arrays/lists, but he didn’t know how to instantiate those elements based on what we had already learned. I might try a slightly different approach, rather than changing IDE though. If you have specific questions I can answer, let me know. I’ll be teaching this course again next year, so talking about this is good for me too! If you want the content/activities I developed, I’m happy to share that as well. 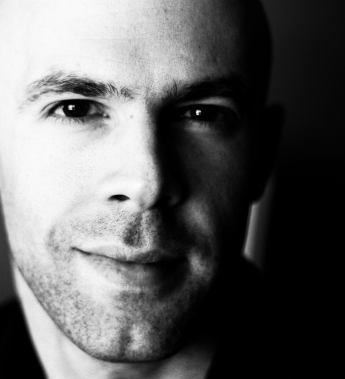 I haven’t worked in Python, but I understand that it is fairly powerful and straightforward. I talked to the other CS teacher here and he recommends Java, and I think I do too. Python has very forgiving syntax; the argument is that this may allow students to focus on concepts. Java is strongly- and statically-typed, but Python is strongly- and dynamically-typed. Java is used for more application types (desktop, web, Android, non-computing devices) and is available on most platforms. Python tends to be used server-side – it’s a scripting language. Python uses indentation to describe code structure; Java uses braces. I use Java because I’m used to it, I understand it well, and it’ll be a nice transition to mobile development for the kids. Let me know what you decide – it’s interesting! If I have made a mistake above, or if you have thoughts about IDEs/Java/Python/Android/etc., please add a comment and I’ll pass it along!